Traditional reds on a rich chocolate field imbued with rich golden borders. 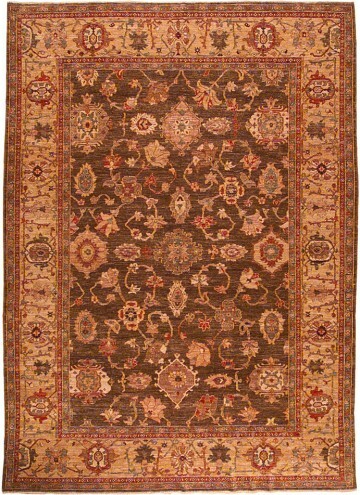 Woven of hand-spun Afghan wool colored with 100% natural vegetable dyes. 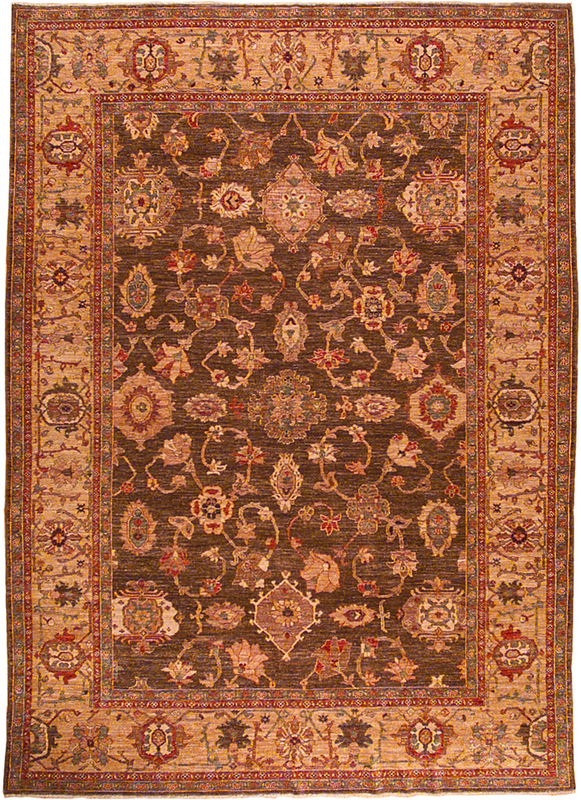 Inspired by the Antique Persian Mahal carpets treasured for centuries.